After a two-year pilot and planning phase, rural generalists are now trained in endoscopy and colonoscopy to provide services to their communities. Dr Jennifer Wharton from Thursday Island and Dr Derek Holroyd from Proserpine started training earlier this year. 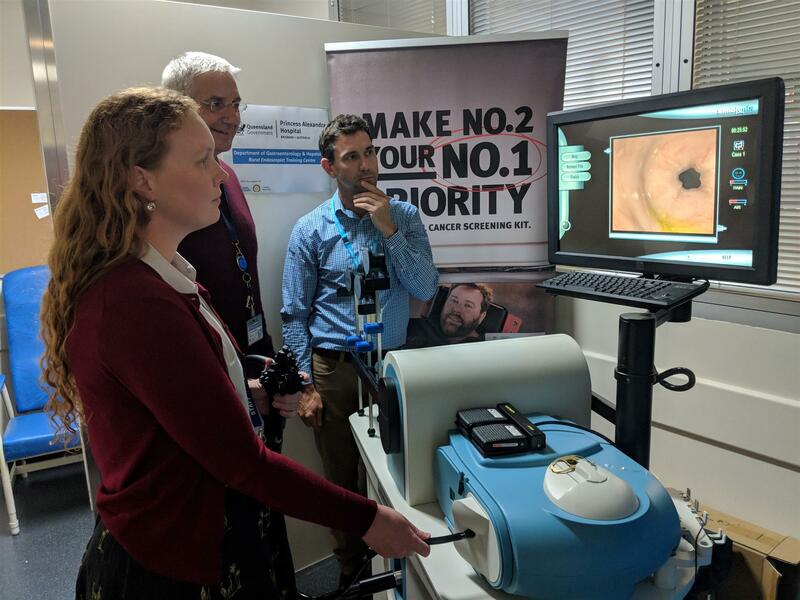 The 12-month program includes simulator training (pictured), hands on training on all relevant aspects of endoscopy and the completion of a quality assurance research project. Prof Holtmann acknowledged the ‘…hard work by various team members and support from Rotary Club of Brisbane helped to shape this program…’. The program is now part of the Queensland Health Endoscopy Action Plan and supported by the Queensland Health Innovation Unit.